This exhibition on the occasion of the 20th anniversary of the Weserburg explores how artists since Jackson Pollock have dealt with free-flowing paint. Works by the most important representatives of Abstract Expressionism and Color Field Painting will be compared with works by younger artists. 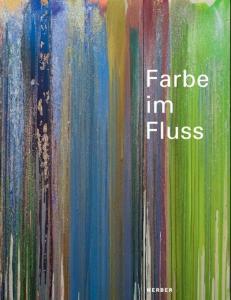 Highlighting the exhibition will be new works developed in situ by Katharina Grosse, K.H. Hödicke, Peter Zimmermann, Nicolás Uriburu, Rainer Splitt, and others. In the late 1940s, the American painter Jackson Pollock ventured a simple and at the same time seminal experiment: he laid a canvas on the floor of his studio and began applying paint to it from above. Bent forward and making movements that incorporated his entire body, he poured and dripped acrylic and ordinary paint across the painting surface. This technique, which came to be known as Action Painting, subsequently inspired entire generations of artists. One began to understand color as a flowing material with specific physical features and to use it artistically. This was consciously done counter to well-rehearsed visual habits and as a new challenge to the senses and the mind. What followed were innovative concepts that supplemented, fundamentally reconceived, or revised Pollock’s stance. Morris Louis, Sam Francis, and Helen Frankenthaler addressed the basic physical conditions of color in flux in highly different ways. Lynda Benglis countered the “male” gesture of Pollock’s drippings with a more voluminous, “female” version made of polyurethane foam. Andy Warhol satirized Pollock’s floor painting in his Oxidation Paintings. And the American Larry Poons let paint run vertically down canvases in order to apparently bow out of the production process as author. Artists in the 21st century are also taking up this broad spectrum of color concepts. What they are interested in are new, at first glance more investigative, observant, unemotional approaches that in remarkable actions at times tie the flow of color back into everyday life. They work in part with video recordings and performances. In an almost Pollockian snapshot in time, Tony Tassett squirts chocolate syrup into the air, and Patty Chang physically exposes herself to paint being flung through the room in her Fan Dance. Color in Flux in principle juxtaposes two artistic approaches: color as a means of artistic expression in terms of modernism and the more conceptual, experimental, even antipainterly treatment of color, in particular by younger artists. Yet despite—or even because of—these differences, it time and again comes to references and dialogues among one another, but also to the younger artists deconstructing, ironizing, and questioning their older counterparts. What is striking about this is that similar phenomena can obtain extremely different meanings. In the end, what is left is an energy-laden and captivating contrast of various artistic stances that all have one thing in common: the conscious handling of color, which as material, medium, and carrier of meaning above all turns itself into a theme. The Kerber Verlag is publishing a richly illustrated catalogue in conjunction with the exhibition. It includes introductory essays by Peter Friese and Raimar Stange, as well as analyses by Guido Boulboullé of more than fifty works.